Equipment - RENEWED MINDS and PURE HEARTS, TRANSFORMED by the LOVE of Mashiach (Messiah). 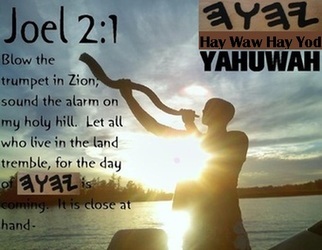 Pursue COVENANT Relationship with YHUH (YHWH). 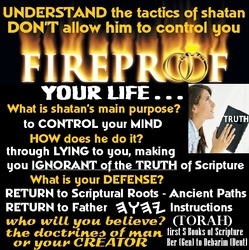 In order to successfully complete your race of life and graduate to heaven, you first and foremost need to CHOOSE OBEDIENCE to the Torah/Blueprint (Instructions/Commands of YHUH -- read Deut Chapters 28-29 and Lev Chapter 23), including guarding and observing His 7th-day Sabbath and His Appointed Times (Scriptural festivals). You will need the love of your heavenly FATHER, His FAVOR (GRACE) and COMPASSION's every day -- including His wisdom, insight and understanding through His SET-APART Spirit, as well as the Sword of the Spirit — His incorruptible WORD! 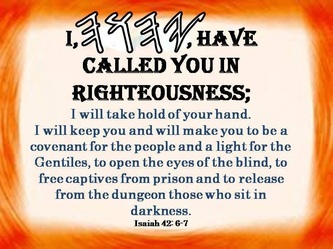 You will need the Name and blood of our Messiah Yahusha in whom you have authority over the works of evil; you will need fervent and continuous PRAYER (also prayer in the spirit) and also the full armor of YHUH! 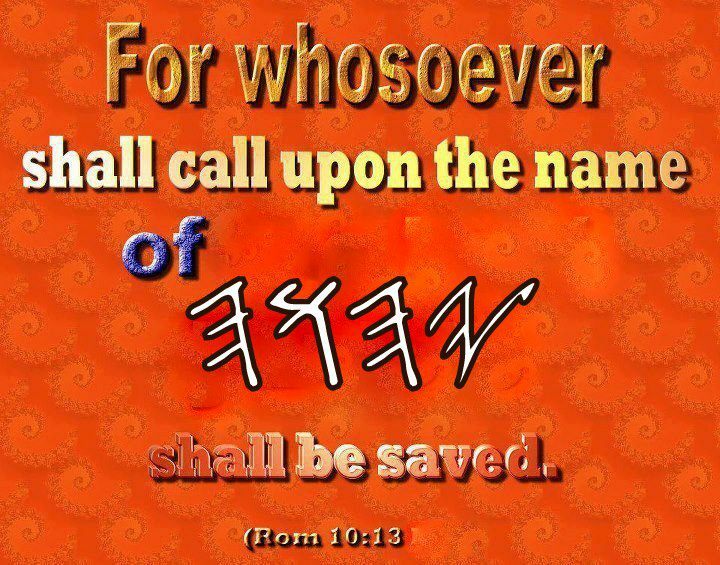 Please NOTE that the FATHER and SON's authentic, Scriptural Names have been restored in the Scriptures quoted below, quoted from a RESTORED Scripture translation (ISR) . 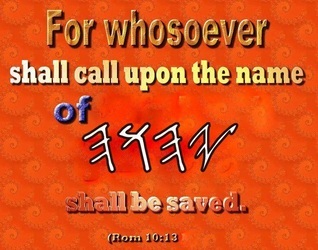 . .
Romiyim (Romans) 8:31 What then shall we say to this? If Elohim (Almighty) is for us, who is against us? Romiyim (Romans) 8:37-39 But in all this we are more than overcomers through Him who loved us. 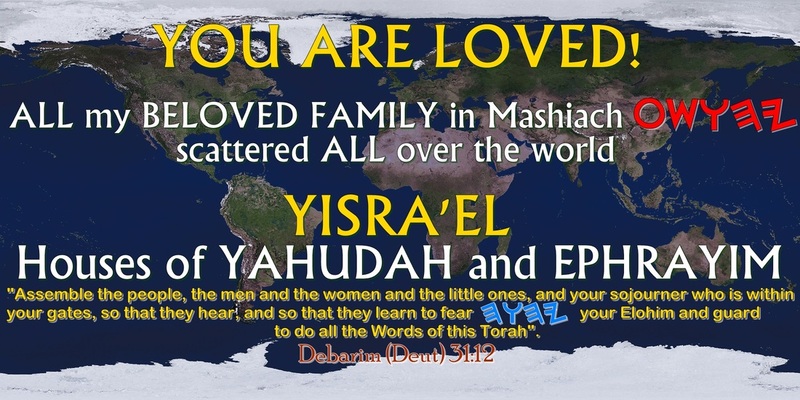 For I am persuaded that neither death nor life, nor messengers nor principalities nor powers, neither the present nor the future, nor height nor depth, nor any other creature, shall be able to separate us from the love of Elohim which is in Messiah יהושע (Yahusha) our Master. 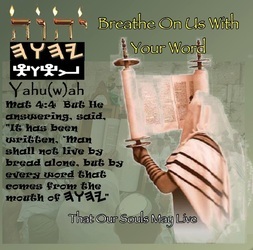 2Qorin'tiyim (Corinthians) 1:3-5 Blessed be the Elohim and Father of our Master יהושע (Yahusha) Messiah, the Father of compassion and Elohim of all comfort, who is comforting us in all our pressure, enabling us to comfort those who are in every pressure, through the comfort with which we ourselves are comforted by Elohim. Because, as the sufferings of Messiah overflow in us, so our comfort also overflows through Messiah. 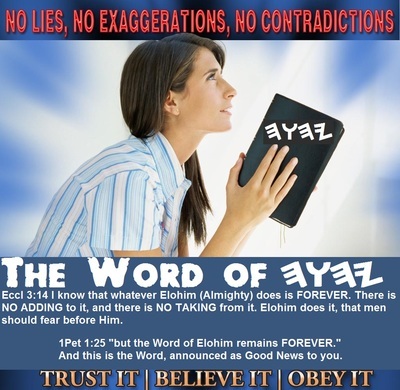 Ibrim (Hebrews) 4:12-13 For the Word of Elohim is living, and working, and sharper than any two-edged sword, cutting through even to the dividing of being and spirit, and of joints and marrow, and able to judge the thoughts and intentions of the heart. And there is no creature hidden from His sight, but all are naked and laid bare before the eyes of Him with whom is our account. 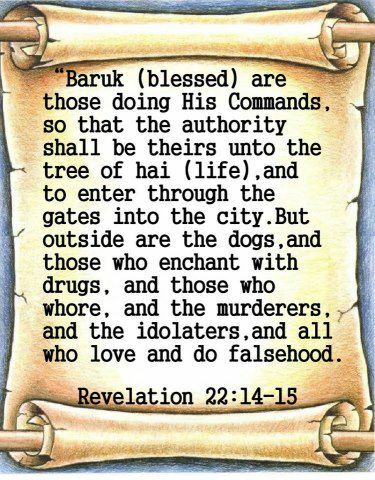 Ibrim (Hebrews) 13:12 And so יהושע (Yahusha) also suffered outside the gate, to set apart the people with His own blood. Yohanan (John) 6:54-56 “He who eats My flesh and drinks My blood possesses everlasting life, and I shall raise him up in the last day. “For My flesh is truly food, and My blood is truly drink. “He who eats My flesh and drinks My blood stays in Me, and I in him". 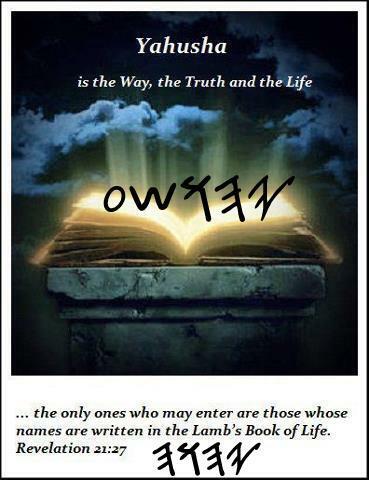 1Yohanan (John) 5:5-8 Who is the one who overcomes the world but he who believes that יהושע is the Son of Elohim? This is the One that came by water and blood: יהושע (Yahusha) Messiah, not only by water, but by water and blood. And it is the Spirit who bears witness, because the Spirit is the Truth. Because there are three who bear witness: the Spirit, and the water, and the blood. And the three are in agreement. 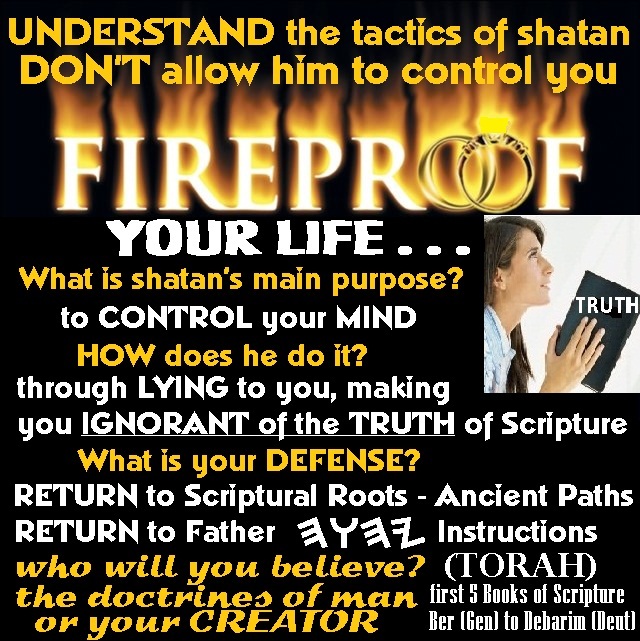 Eph'siyim (Ephesians) 6:12-13 Because we do not wrestle against flesh and blood, but against principalities, against authorities, against the world-rulers of the darkness of this age, against spiritual [matters] of wickedness in the heavenlies. Because of this, take up the complete armour of Elohim, so that you have power to withstand in the wicked day, and having done all, to stand. Eph'siyim (Ephesians) 6:18 praying at all times, with all prayer and supplication in the Spirit, watching in all perseverance and supplication for all the set-apart ones. 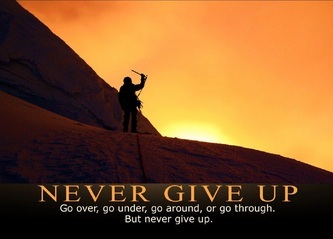 1Kepha (Peter) 4:7 But the end of all has drawn near. Therefore be sober-minded, and be attentive in the prayers. 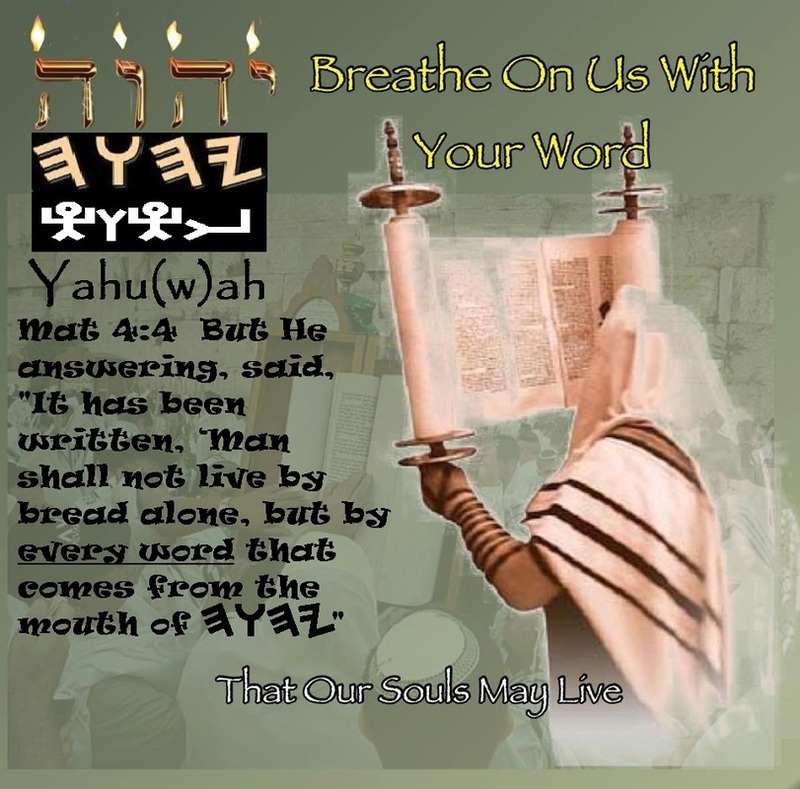 Pilippiyim (Philippians) 4:6-7 Do not worry at all, but in every [matter], by prayer and petition, with thanksgiving, let your requests be made known to Elohim. And the peace of Elohim, which surpasses all understanding, shall guard your hearts and minds through Messiah יהושע (Yahusha). 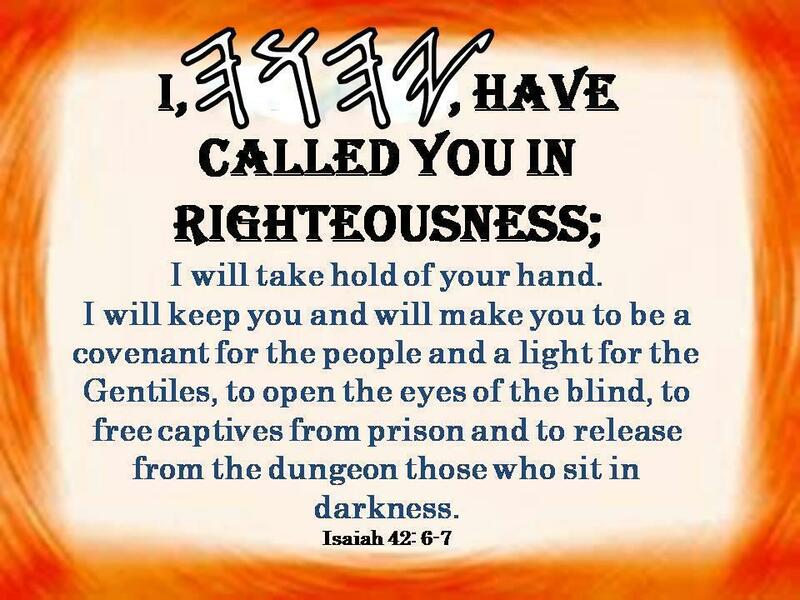 You will require assistance from fellow believers(brethren) who are IN COVENANT with YAHUAH to help you during your race of life. You will need the fruits of the spirit, namely love, joy, peace, patience, kindness, goodness, faith, gentleness and self-control . . . you will also surely need the guidance and instruction of the Qodesh Ruach (SET-APART Spirit) of YAHUAH to direct your paths. Pilippiyim (Philippians) 4:8 For the rest, brothers, whatever is true, whatever is noble, whatever is righteous, whatever is clean, whatever is lovely, whatever is of good report, if there is any uprightness and if there is any praise – think on these. Galatiyim (Galatians) 5:22-25 But the fruit of the Spirit is love, joy, peace, patience, kindness, goodness, trustworthiness, gentleness, self-control. Against such there is no Torah. 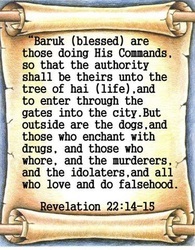 And those who are of Messiah have impaled the flesh with its passions and the desires. If we live in the Spirit, let us also walk in the Spirit. Yohanan (John) 14:26 “But the Helper, the Set-apart Spirit, whom the Father shall send in My Name, He shall teach you all, and remind you of all that I said to you". Lastly you will need to be committed to run and finish this race, you will need to exercise great discipline and overcome many struggles through BELIEF (FAITH), determination, perseverance and endurance to the end. 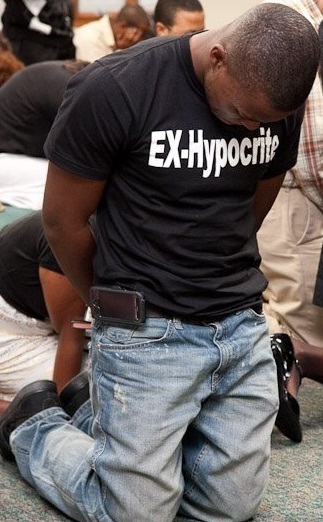 Romiyim (Romans) 12:9-18 Let love be without hypocrisy. Shrink from what is wicked, cling to what is good. In brotherly love, tenderly loving towards one another, in appreciation, giving preference to each other; not idle in duty, ardent in spirit, serving the Master; rejoicing in the expectancy, enduring under pressure, continuing steadfastly in prayer; imparting to the needs of the set-apart ones, pursuing kindness towards strangers. Bless those who persecute you – bless and do not curse. Rejoice with those who rejoice, and weep with those who weep. Be of the same mind toward one another. Do not be proud in mind, but go along with the lowly. Do not be wise in your own estimation. Repay no one evil for evil. Respect what is right in the sight of all men. If possible, on your part, be at peace with all men. 2Qorin'tiyim (Corinthians) 6:2-10 For He says, “In an acceptable time I have heard you, and in a day of deliverance I have helped you.” See, now is the well-accepted time, see, now is a day of deliverance – giving no cause of stumbling in whatever, so that the service is not blamed. Rather, we commend ourselves as servants of Elohim in every way: in much endurance, in pressures, in hardships, in distresses, in stripes, in imprisonments, in disturbances, in toils, in watchings, in fastings, in cleanness, in knowledge, in patience, in kindness, in the Set-apart Spirit, in love unfeigned, in the word of truth, in the power of Elohim, through the weapons of righteousness, on the right and on the left, through esteem and disrespect, through evil report and good report; [regarded] as deceivers, and yet true; as unknown, and yet well-known; as dying, and see, we live; as disciplined, and yet not killed; as sad, yet always rejoicing; as poor, yet enriching many; as having none, and yet possessing all. 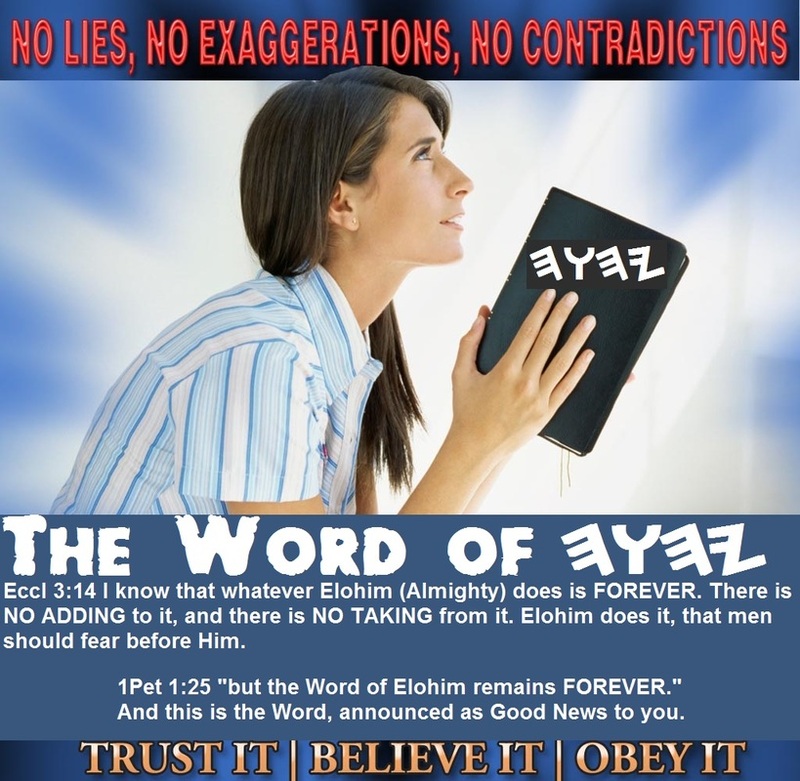 Romiyim (Romans) 5:1-5 Therefore, having been declared right by belief, we have peace with Elohim through our Master יהושע (Yahusha) Messiah, through whom also we have access by belief into this favour in which we stand, and we exult in the expectation of the esteem of Elohim. And not only this, but we also exult in pressures, knowing that pressure works endurance; and endurance, approvedness; and approvedness, expectation. 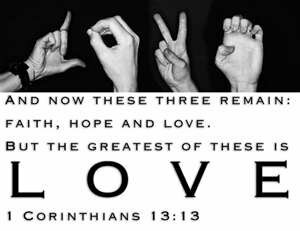 And expectation does not disappoint, because the love of Elohim has been poured out in our hearts by the Set-apart Spirit which was given to us. Romiyim (Romans) 15:4-6 For whatever was written before was written for our instruction, that through endurance and encouragement of the Scriptures we might have the expectation. And the Elohim of endurance and encouragement give you to be of the same mind toward one another, according to Messiah יהושע (Yahusha), that with one mind and one mouth, you might praise the Elohim and Father of our Master יהושע (Yahusha) Messiah. 1Timotiyos (Timothy) 6:10-12 For the love of money is a root of all kinds of evil, for which some, by longing for it, have strayed from the belief, and pierced themselves through with many pains. But you, O man of Elohim, flee from all this, and pursue righteousness, reverence, belief, love, endurance, meekness. Fight the good fight of the belief, lay hold on everlasting life, to which you were also called and have confessed the good confession before many witnesses.